On Friday 8 March 2019 as part of International Women’s Day we are holding a Biograthon 10am-1pm to add content to this site. We will spend the morning researching and writing to celebrate the achievements of Norfolk women. Follow us on twitter @NorfolkRO also #BalanceforChange and #IWD2019 to see what we are discovering. Why not come along to the Norfolk Record Office on Tuesday, 15 March 2016 2-3.30pm to see some of the original documents from this site. 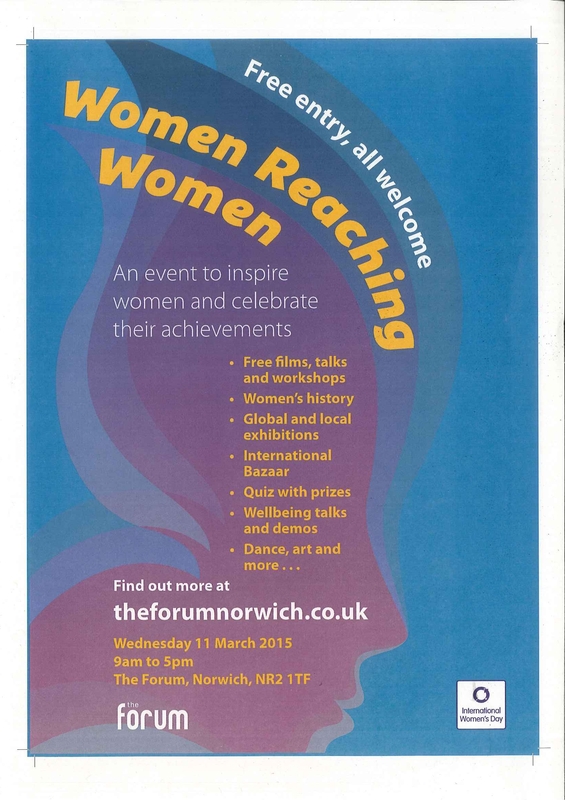 Tomorrow, Wednesday 11 March 2015, Norfolk Record Office will have a Pop-up shop at the free Women Reaching Women event at The Forum, Norwich for International Women’s Day. Popular local historian and Norfolk Record Office archivist, Frank Meeres, will also be giving a talk…. 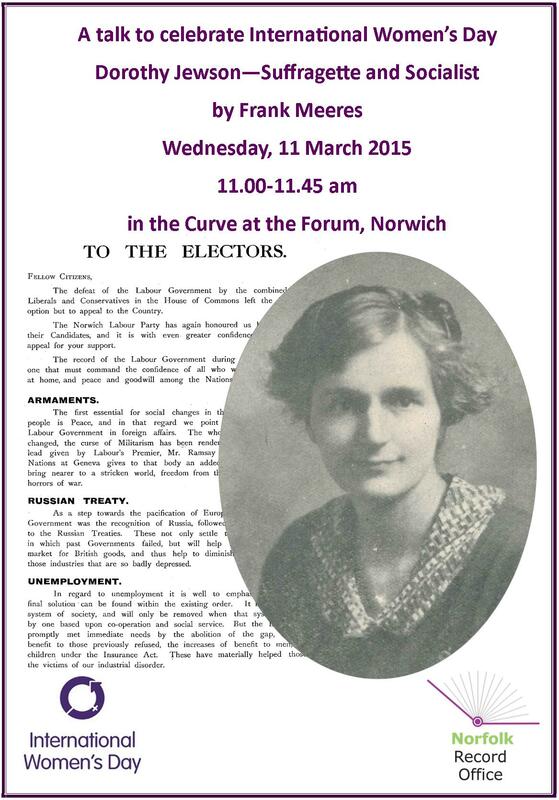 Wednesday, 11 March 2015 11.00-11.45 am in the Curve at the Forum, Norwich. Students from the School of Film, Television and Media Studies at the University of East Anglia have been making films inspired by this website. 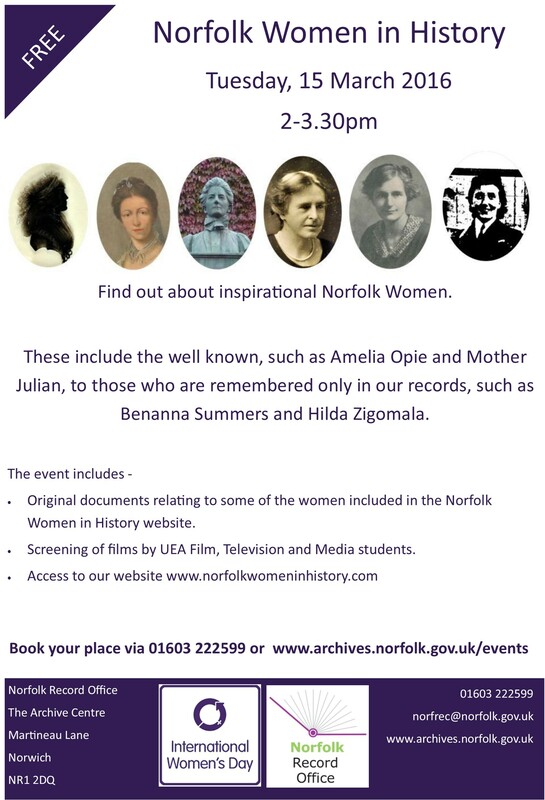 On Monday, 10 March 2014 they will preview their films at the Norfolk Record Office to celebrate International Women’s Day. The films will then appear on the appropriate pages of this site. 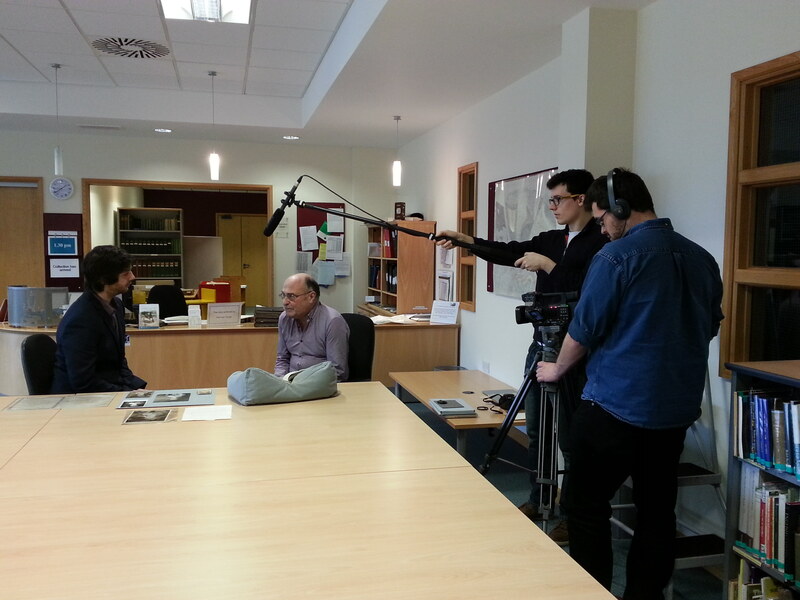 Students interviewing historian Frank Meeres at the Norfolk Record Office. Inspired by International Women’s Day the Norfolk Women in History Timeline is an ongoing project developed by the Norfolk Record Office, Norfolk Library and Information Service and Norfolk Museums and Archaeology Service to promote and celebrate the role Norfolk women have played in the history of our county and beyond. Browse the site to discover more about well known women such as Edith Cavell or Mother Julian, those who are not so well known such as Margaret Fountaine, a diarist, lepidopterist and adventurer and also the hidden histories of everyday women and their extraordinary untold stories such as Benanna Summers, a woman who was widowed at a young age, and worked as a farmer, grocer and laundress to support her family. Contribute to the Norfolk Women in History Timeline!